It might not look much but I’m a little sad to see it go. This was the bowl my girls fought over when they were little because they both wanted the ‘butterfly’ bowl. 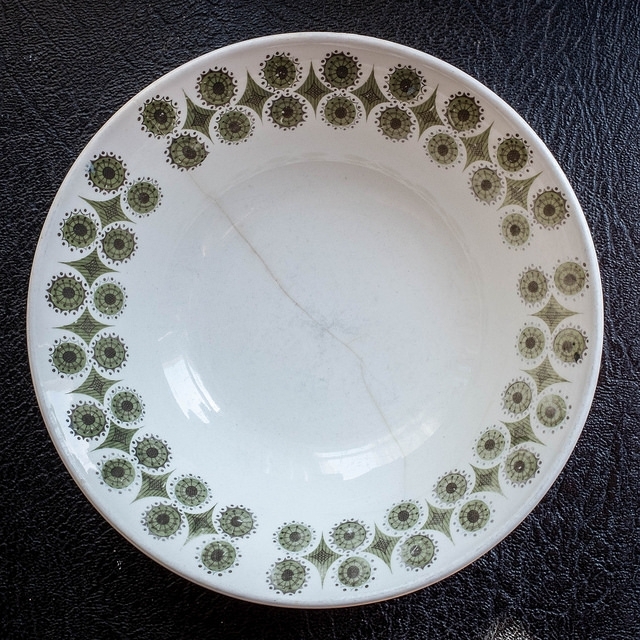 It was one of the items of kitchenware I took from my parents’ house to my first student flat and then it followed us through married life, kids, and a couple of house moves. The crack running across the base is bad enough that it leaks, so it’s time to say goodbye to the butterfly bowl — nothing special, but as well as cornflakes it held loads of good memories.